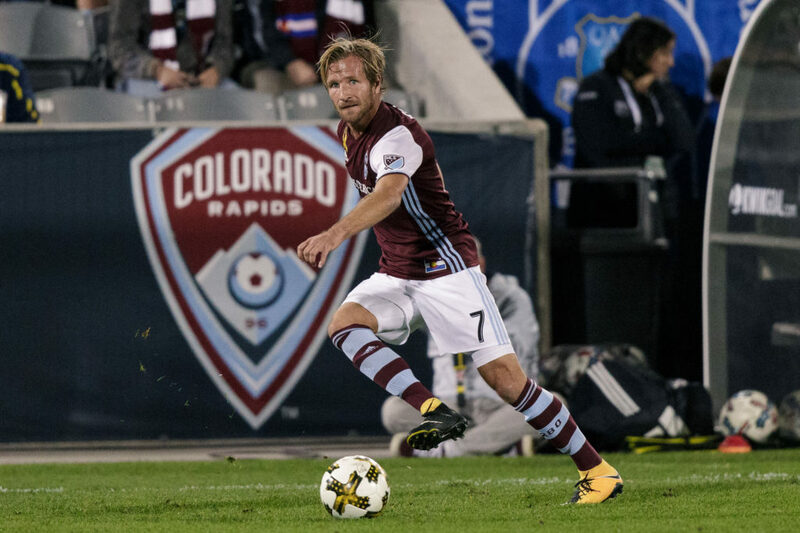 The Colorado Rapids and midfielder Stefan Aigner mutually agreed to terminate the remainder of his three-and-a-half-year contract with the club. The German-born forward was acquired by the Rapids during a transfer in the 2017 season. He finished the year as the team’s sixth-highest scorer, registering two goals and an assist in only nine games. After starting the final five games of the 2017 season, Aigner appeared in just one contest this season, playing 11 substitute minutes. Aigner’s lack of playing time is somewhat mysterious, though reports of diminished fitness and a rough relationship with manager Anthony Hudson figure to have some impact in the decision. Aigner, 30, spent the entirety of his career prior to the Rapids in Germany playing in the Bundesliga and Bundesliga 2. In 274 matches, he tallied 56 goals and 50 assists. The Rapids sit in last place in the Western Conference and will travel to Houston to play the Dynamo Saturday evening.